Geraldo Rivera hosts episode 2 of the news series Now It Can Be Told, with a segment by Alexander Johnson. 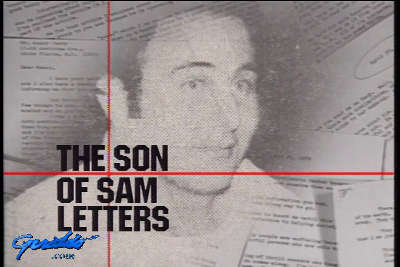 The show focuses on the Son Of Sam Letters. Guests include confidante Chase Berkowitz, Author of 'The Ultimate Evil' Maury Terry, Neysa Moskowitz one of the victims' mothers, and Detective Joseph Basteri of the NYPD.